TEXIER, Charles. 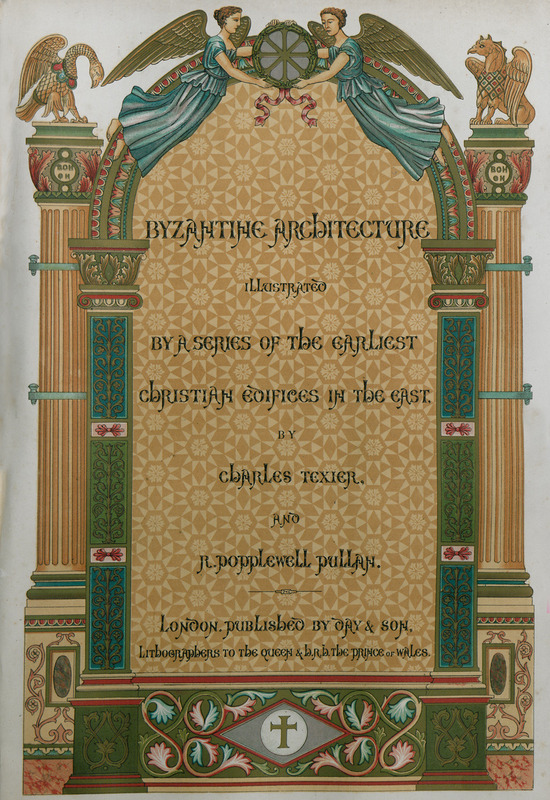 Byzantine Architecture illustrated by a series of the earliest Christian edifices in the East, London, Day and Son, 1864. TEXIER, Charles Félix Marie. Byzantine Arcitecture, illustrated by Examples of Edifices erected in the East during the earliest Ages of Christianity…, and R.Popplewell Pullan, London, Day & Son, 1864.